At the Piatchek Law Firm, our attorneys can assist you in pursuing your dream of starting a business. We understand that starting a business can be exciting, scary, and stressful all at once. After all, I, Joseph Piatchek, started this business once upon a time. Even though we are an established business now, we are still growing, just like you, and we’re still excited about business. One of my favorite parts about being an attorney is assisting new business owners as they pursue their goals and dreams. I enjoy all aspects of business law, and I am always excited to help my clients explore new business ideas and watch those ideas come to life. First, you simply have a thought. Then, that thought leads to action. Eventually, what began as a mere thought becomes a tangible thing that you can feel, touch, and interact with. Isn’t business wonderful? 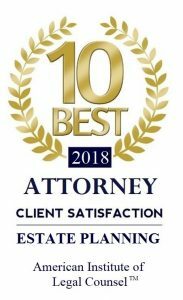 Although the Piatchek Law Firm is a full-service firm that offers legal services in many different areas of the law, I must admit that there is nothing like helping a client start a new business. I love watching a small business start from scratch, work through growing pains, thrive, and then come to maturity. It is wonderful not only to watch how the business changes, but also how the owners themselves change over time. We love meeting with new business owners. Sometimes they have a lot of questions, and sometimes they are so overwhelmed, they don’t know where to begin or which questions to ask. We routinely assist both new business owners and existing business owners. While not all new businesses succeed, it is the many success stories from our clients that keep us going and keep us excited about business law. Our law firm is lucky to be in a position to witness success stories everyday. How many people can say that what they do for a living is to help others pursue their dreams? That is why we are business law attorneys – we literally get to help clients make their dreams come true by helping them pursue their lifelong dream of owning and operating their own business. However, we also understand that starting a business in Missouri can be an overwhelming and sometimes complicated process. Potential business owners must consider numerous factors, including financing the business, setting up a business plan, choosing the best business entity; naming the business, addressing licensing, addressing permits and zoning matters, hiring and paying employees, and securing business insurance. New business owners often have questions about the minimum wage, overtime pay, child labor, employee sick leave, and record keeping. The US Department of Labor and certain state agencies are charged with enforcing employee rights, and many times the law is complex and detailed. A new business owner should stay informed in order to avoid legal difficulties by consulting a competent and experienced attorney. New business owners should understand the insurance policies available for both businesses and their employees. It is important to analyze risk exposure before determining the type and amount of insurance that will best protect your new investment. In addition, laws or contractual agreements may require certain types of policies. An attorney can assist you with your questions today. A business owner typically needs to consider premises liability insurance, errors and omissions insurance (or malpractice insurance), general liability insurance, renter’s insurance, disability insurance, life insurance, umbrella insurance, worker’s compensation insurance, and health insurance. The SBA’s mission is to provide assistance and advice to small businesses. This is a great resource for all topics involved with starting a new business. The Department of Labor provides guidance on labor regulations for business owners while protecting the interests of workers, retirees, and job seekers. This US Department of Labor organization advocates for worker safety by setting and enforcing workplace standards and offering guidance for employers. The EEOC is responsible for enforcing anti-discrimination laws, including Title VII of the Civil Rights Act of 1964, the Equal Pay Act (EPA), the Age Discrimination in Employment Act (ADEA), and the Americans with Disabilities Act (ADA). This agency, which is part of the Department of Labor, informs benefit plan administrators of applicable laws and develops and enforces regulations. It also helps employees obtain the most out of their pensions, health plans, and other benefits. For caring, professional legal representation, contact our offices to arrange a confidential consultation. Evening and weekend appointments are available upon request, and we may be able to arrange a home or business visit if you are unable to travel to our offices. We serve the entire state of Missouri and beyond, including Springfield, Branson, Nixa, Ozark, Joplin, Columbia, St. Louis, Kansas City, Jefferson City, Lake of the Ozarks, and Osage Beach.